Fraternities and Sororities that can be found on MSOE’s campus. A.O.E. is a professional international engineering sorority founded in 1983 that provides friendship, leadership and professional development for all members of the organization, the community and members of the profession. DSP strives to bring out the better man in each of its members, both locally and nationally. Locally, they strive to have the highest GPA of all the organizations on campus. Their rigorous academic program helps students who need help in classes. They have a strong base in MSOE intramural sports, participating in as many events as they can every term. As a multicultural service sorority, their mission is to inspire open minds by increasing multicultural awareness among the community. Their goal is to collaborate with organizations in the MSOE and Milwaukee communities to help spread awareness of the importance of multicultural acceptance. 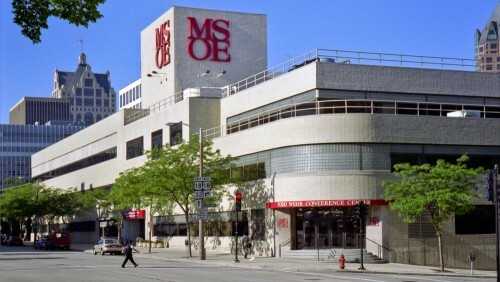 A Milwaukee School of Engineering (MSOE) sorority started in 2007. They value lifelong friendships, health, equality, and education. LZN wants to create an open, welcoming environment for the girls of MSOE. PDC provides the women of MSOE with an opportunity to enjoy the benefits of the Greek system and strives to promote women in engineering and management by providing a wide range of social activities for its members. SPD was founded on April 11, 1924. Open to students with an Engineering background, it attends to both the social and professional needs of engineers. It is an organization that fosters Brotherhood, camaraderie, leadership and teamwork. Men join as individuals and form lifelong bonds with other like-minded students. Joining Sigma Phi Delta helps a man develop the skills, confidence, morality, and sense of teamwork necessary to become an excellent engineer. TSN was founded in 2011 on the basis of health, wellness, academic excellence, and service leadership. Brothers in the fraternity all strive to better themselves and those around them. Through attending academic study events, philanthropic events, and athletic events, brothers achieve the status of a well-rounded individual. Brothers lead and participate in service and leadership opportunities to give back to the community of the surrounding area. As a whole fraternity brothers gain life experience that leads to great success and well-rounded areas of interest and leadership. Developing balanced men in engineering, architecture, and science by providing an environment which fosters personal growth and professional success.